FASHION HOUSE Group was one of companies that aroused the biggest interest of visitors at REX Moscow Real Estate Exhibition, which took place on April 24-26, in the capital of Russian. The exhibition is one of the most significant and popular events connected with the real estate sector in this country. 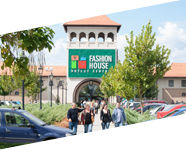 FASHION HOUSE Outlet Centre Moscow – the first fully enclosed and professionally managed outlet centre in Russia – will open on May 30th. – This year’s REX Exhibition was a perfect opportunity to present our project right before its opening, – said Brendon O’Reilly, Managing Director of FASHION HOUSE Group. – During the fairs we met many of our present and potential business partners. 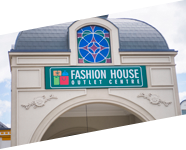 We also presented projects, which are being developed or are to be developed in Russia in the nearest future, including FASHION HOUSE Outlet Centre St Petersburg, – Brendon O’Reilly added. 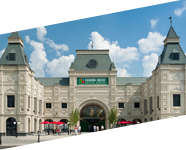 Construction work at FASHION HOUSE Outlet Centre Moscow has entered its final stages. With a total GLA of 28,640 sqm, the centre will be home to 165 outlet units of top international and domestic brands, restaurants, cafes, children’s play area and a parking lot for over 1,800 vehicles. 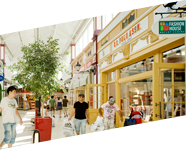 FASHION HOUSE Outlet Centre St Petersburg will offer a total GLA of 20,260 sqm. The project will be developed in the close vicinity of the city ringroad, 20 km south of St Petersburg city centre. The project is due to open in 2014. It was already the 10th edition of REX Moscow. As usual, it attracted thousands of professionals from the Russian real estate sector. They could acquaint themselves with the offer of over 150 exhibitors; and take part in numerous discussion panels, presentations and workshops.